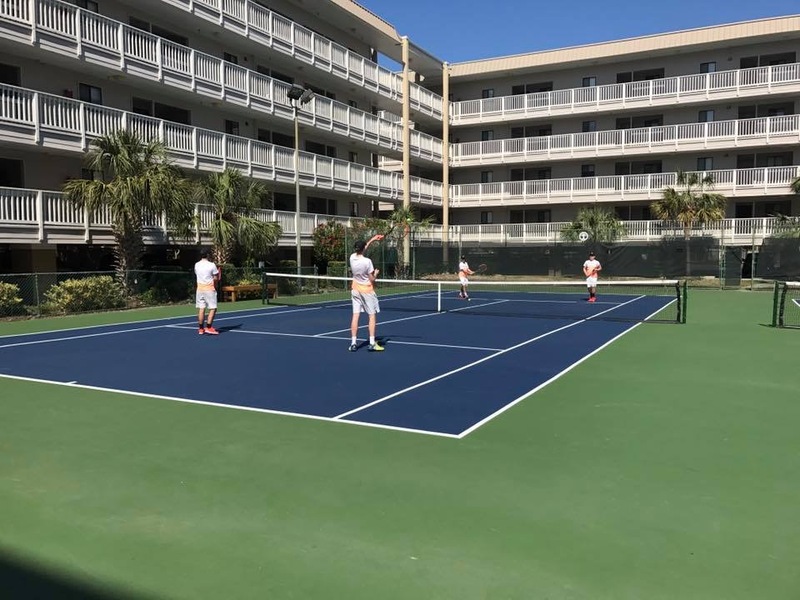 This year the Cathedral Prep tennis team is starting off the season in great fashion, as they will be training in Hilton Head Island and will be kicking off the season with three highly competitive matches. This is the third straight year that the team has traveled to South Carolina, and it has proven to strengthen the team as a whole. Coaches Pat Grab and Alex Brzozwski along with the top eight members of the team (Matt DeMarco, David Estes, Jon Horstman, Joe Armanini, Evan Rowane, John Kretzing, Thomas Prichard, and Corbin Glance) will depart for their spring training trip on Saturday, March 23, and will not be returning back to Erie until the following Saturday. The team will be enjoying some warm weather at the Sea Pines Resort, as they train for a week at the Smith/Stearns Tennis Academy. This trip will push the team both physically and mentally so that they are prepared for challenges ahead this season. Along with the vigorous training, the team will also have three matches against some very highly skilled teams. The Ramblers will be taking on two teams in South Carolina, Hilton Head Prep and Hilton Head High School, and St. Charles North High School from Chicago, Illinois. The team will be tested and pushed to their max on this trip, as they will be on court at least 5 hours each day. The past two years the team has trained at Van Der Meer Tennis Academy and there have been amazing results, as Hilton Head is known by many as the “Tennis Capital of the World” because of its great number of courts and world renowned tennis coaches. This season, the Ramblers will be training at the world class Smith Stearns Tennis Academy in the Sea Pines Resort. Smith Stearns is run by two highly recognized tennis professionals, Stan Smith and B.J Stearns. Stan Smith played on tour for many years and has previously been ranked the number one player in the world. He has won singles titles at the most competitive tournaments in the world including the U.S. Open and Wimbledon, and has also won multiple doubles titles too. B.J. Stearns is the current Academy director and is also very accomplished, as he has been highly ranked both nationally and internationally in his past career. With a highly qualified training staff and some very competitive matches, the Ramblers will most definitely improve throughout the week. After the week of training in Hilton Head, the Cathedral Prep Tennis team will travel straight to State College, Pennsylvania. They will be competing in the very competitive State College Invitational at Penn State University. At this tournament the team will play some of the best teams in Pennsylvania that they hope to see later in the season in Hershey for the playoffs.